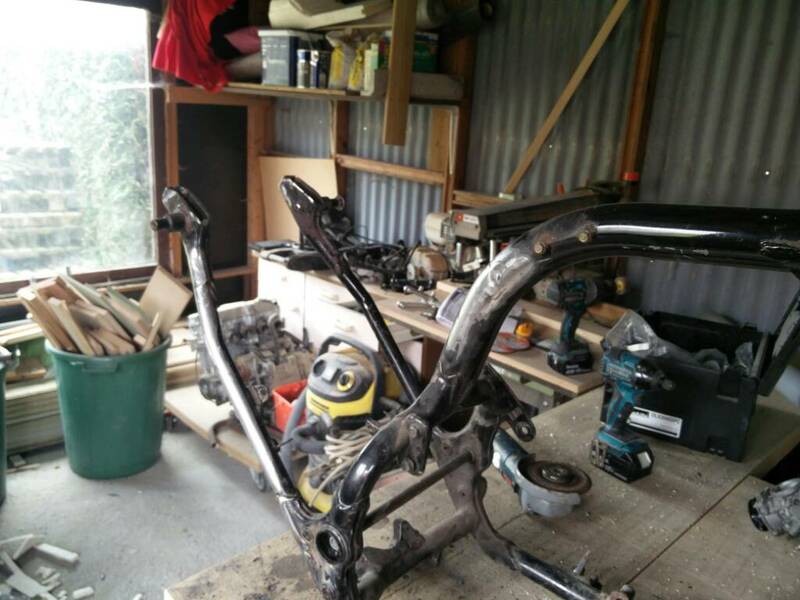 So back in 2012 i started on my cb seven fifty rc42 café racer Build. 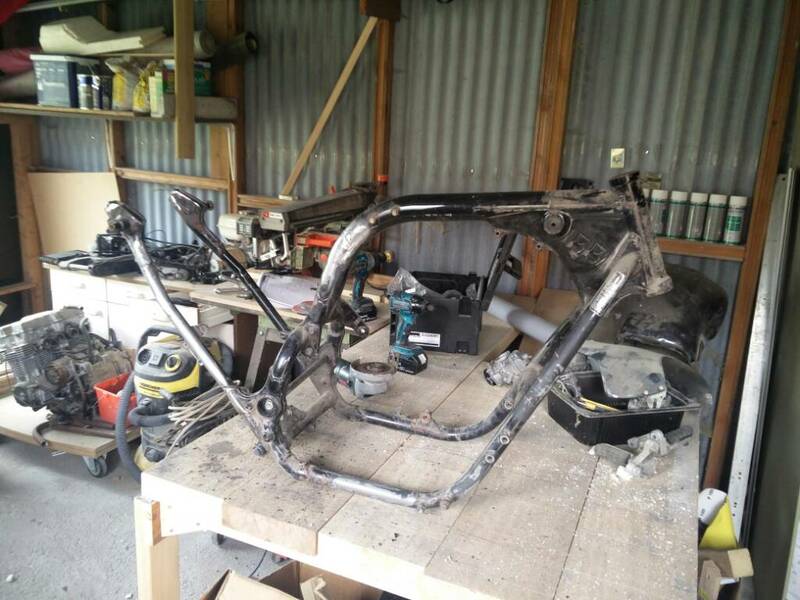 Back then i chopped a whole bunch of the frame... A big mistake cos now im struggling with thé subframe. This is how she sits now. You can buy pre-bent rear "hoops" based on the distance between your existing shock mounts. I would just weld straight tubing from the backbone to the rear hoop. Just keep pluggin' every day and it'll get done! 1+ to Brotus, I'd get the hoop so you can be sure you can align the laterals and hoop. Also think about whether you want to stash electrics in a box between those rails and if so, make a cardboard mockup and think it through. Cardboard is cheap. But don't get "writer's block" - it's not like you've trashed this puppy, just get on 'er. Spring is coming!